This 1 hour Evening class is our more gentle and restorative Yoga class. 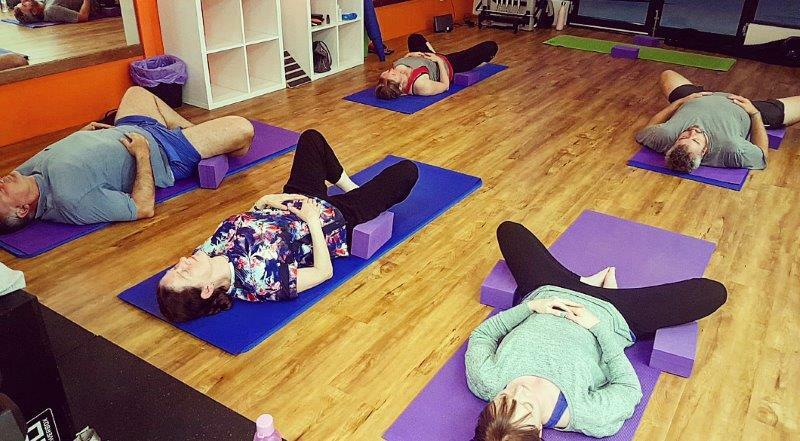 This is a class that assists you in unwinding from your day/week/month, improves on your flexibility and natural strength, and allows you to get back in touch with your mind and body from a calm, non-aggressive and passive place. This session is conducted in the traditional Hatha Yoga style with an eclectic blend of Vinyasa and Yin styles to provide participants with a recipe that encourages a relaxed mind, freedom of movement, and a more enhanced breath. For those who are seeking a great “kickstart” to their day and weekend. These classes are tailored at boosting your energy to keep you flowing and moving throughout your day. 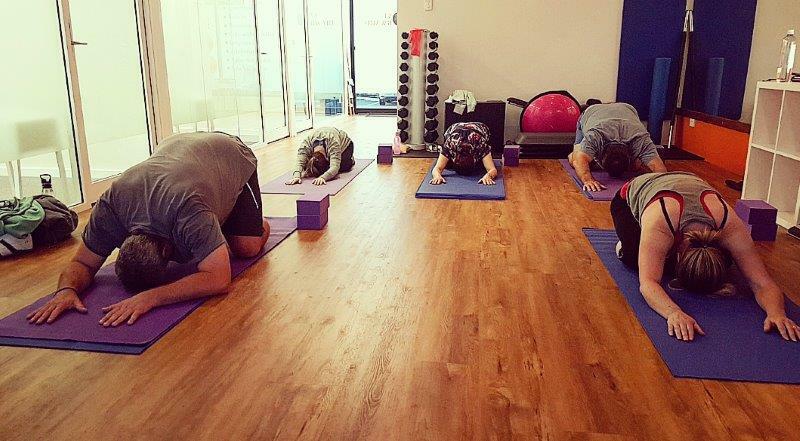 The intensity and pace of these classes are higher than our restorative sessions however are still tailored to both beginners and ongoing practitioners of Yoga. Our Rise and Shine classes will always include activating flowing sequences to warm and loosen up the body alongside Asana holds to increase strength and vitality. Also included is the guiding of the breath to support increased awareness, and the boosting of both passive and active energy levels for overall balance. This combination is utilized to enhance your body’s natural ability to heal and to detoxify and to allow you to function at your most optimal level. Move Forward clinics offer diverse Yoga sessions created and conducted by qualified Yoga Instructors to target your individual needs. Yoga as a movement science can be invaluable in retraining movement control, strength and flexibility, balance and coordination, whilst also providing you with the tools to activate your relaxation response to open the doors to being more mindful in everyday life. Move Forward Yoga staff are trained and highly experienced in a variety of Yoga styles including; Hatha, Vinyasa and Yin. Generally clients will attend weekly Yoga sessions on an ongoing basis to support overall health and wellbeing. 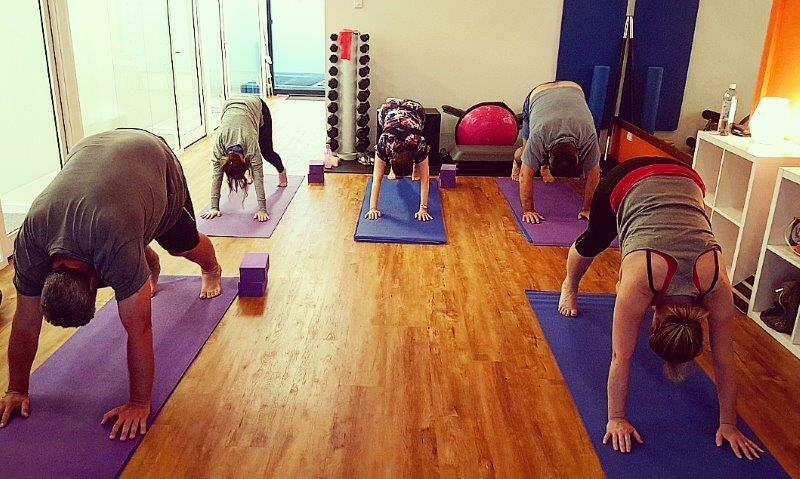 Yoga sessions will always include mat work (floor based) with the occasional use of supports such as; Thera bands, yoga blocks and/or belts. Yoga is currently available only at Butler Physiotherapy. Call today on 9562 5417 to find out more about our Yoga classes.